This wonderful Shenandoah Valley wine region took flight during the Gold Rush of the 1850s, amid the rugged western foothills of the majestic Sierra Nevada mountain range. As fortune seekers, many of them European, flocked to the Sierras to prospect for gold, small wineries arose to help slake their thirst. Within a few decades, there were over 100 wineries in the area known as the Mother Lode, more than any other region of California. Some of the vineyards planted during that era survive to this day. 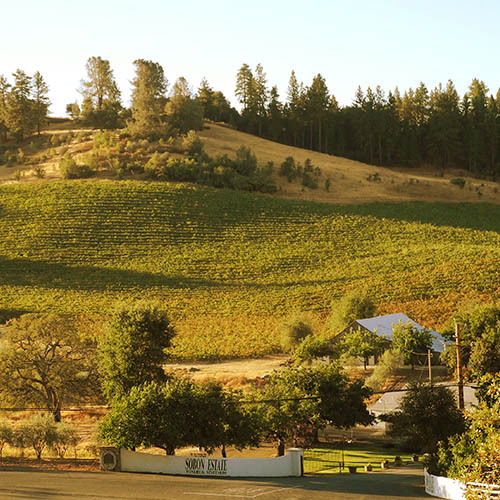 Many are drawn by the region’s rolling, sun-drenched hillsides, warm daytime temperatures, and volcanic, decomposed granite soils, ideal conditions for producing top-quality wine grapes. 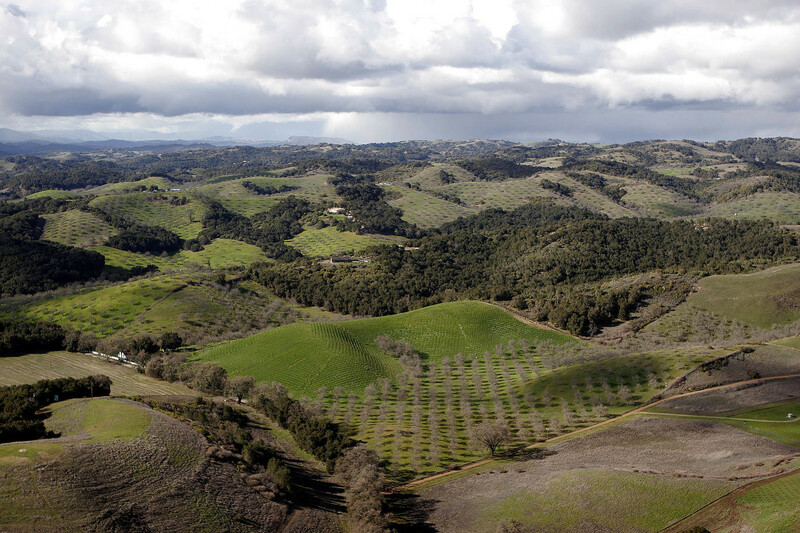 When their robustly flavored wines, especially zinfandel, began attracting the attention of wine lovers throughout California and the U.S., the historic Sierra Foothills wine region was born. Opened in November of 2010, Andis Wines brings a modern and fresh approach to Amador County’s winemaking region. Our focus: seeking out the best vineyards in the Sierra Foothills to craft wines with balance, character, complexity and varietal correctness. Using both traditional and innovative winemaking approaches, Andis Wines have quickly garnered 90+ point scores in Wine Spectator and Wine Enthusiast, glowing reviews in print and online media, and placements in some of the finest restaurants. where grape growing has been a family tradition for over 150 years. Visit our tasting room and browse our renowned gift shop for some of the best wine and home accessories you’ll find anywhere! 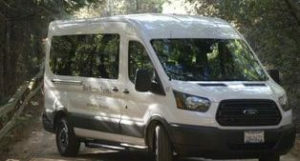 Plan to stay and enjoy a picnic lunch by our lovely pond, and don’t miss out on our special events throughout the year. 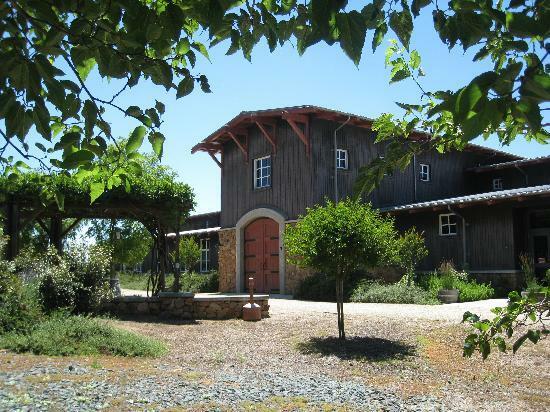 Dillian is a small family winery specializing in Zinfandel, Barbera and Primitivo. 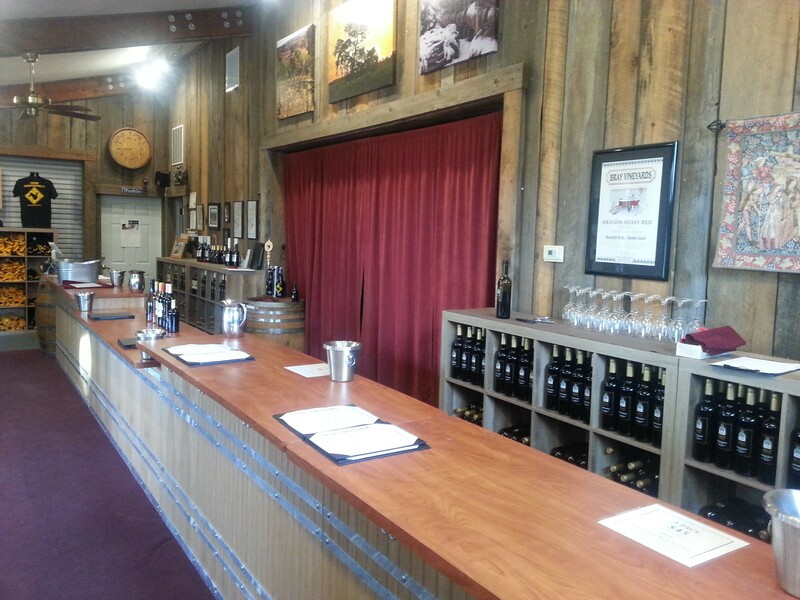 Our wines are made by hand in small batch fermentations and aged in sixty gallon French and American oak barrels. Owner Tom Dillian has been growing high-quality grapes in Amador County since 1972. The winery tasting room on Steiner Road, modeled after the home built by Tom’s grandfather in the early 1900’s, sits on property owned by the Dillians since 1917. 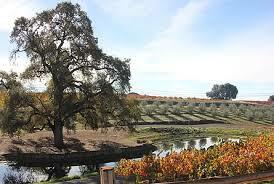 The Dillian family, their fine wines and gracious hospitality remain Amador County trademarks. Drytown Cellars is dedicated to producing the very best wines-well balanced, intensely flavored, yet good for every day. We use only the highest quality fruit. We eschew tampering with what nature provides, and depend on rigorous scientific methods of production. We strive to preserve the distinctive fruit characteristics in the wine. We love producing single varietal wines, but we also believe that prudent blending can enhance varietal characteristics by offering complimentary attributes. And as with our non-vintage burgundy, “Red-on-Red,” we can take advantage of a wide palette of flavors to produce an outstanding, robust, yet reasonably priced, bottle of wine. In 1996 Oliver Bray and Robin Bray established Bray Vineyards on 50 acres of prime Shenandoah Valley vine land. By 2001, Bray Vineyards was supplying Zinfandel and Sangiovese grapes to well known local wineries like Vino Noceto and Montevina and making a name for themselves and their grapes as well as plans for opening their own winery. In 2004, they brought in John Hoddy as their winemaker and by April of that year Bray Vineyards opened its doors to the public for the first time. The Brays are proud of their winery, their wines, and their olive oil. 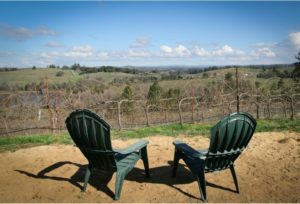 Oliver and Robin invite you to visit them, whether you come to the tasting room, to their website, or to the many events in northern California and Nevada where they pour wine. Welcome to the Heart of California’s Shenandoah Valley! communities in California. The easy gold found early during the Gold Rush soon was exhausted and the miners realized that their fortune would more likely be made in a more traditional manner – farming. Grapes were planted as early as the 1850sand the valley’s reputation for “liquid gold” has been growing since. We invite you to visit Young’s, to taste our award winning wines. Enjoy a picnic and take a stroll around the gorgeous grounds. We are known for our stunning yet unpretentious gardens. It is a place where time stands still. Serafina is a 1st generation winery from a 5th generation winemaker. Celebrating our 4th Anniversary in 2014 here in Amador County we are honored to showcase our classic Italian and Rhone style wines in our tasting room. Our family has a long history of winemaking and wine appreciation beginning when my great grandfather immigrated to the east coast from Italy in 1903. Over 60 years ago my grandfather bought our family’s first winery in California. He taught me the tradition of family winemaking, and with a little help and a lot of extra “homework” from the enology program at UC Davis, we are pleased you offer you 5 Generations of winemaking here at serafina. 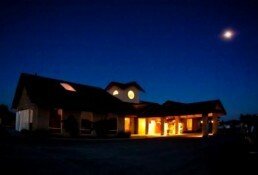 Shenandoah Vineyards in Plymouth, CA, was founded in 1977 by Shirley and Leon Sobon. Leon and Shirley Sobon founded Shenandoah Vineyards in 1977. 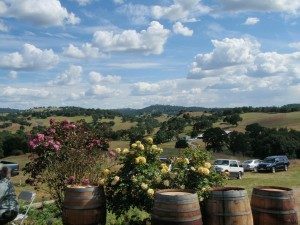 They were one of the first four wineries in Amador County’s now well known Shenandoah Valley appellation. From the first offering of 1,200 cases, the winery has continued to thrive, adjusting the portfolio of wines over the years. It is now producing about 25,000 cases per year. Demand continues to grow as a result of skilled winemaking, marketing, and strong family commitments to quality and service. 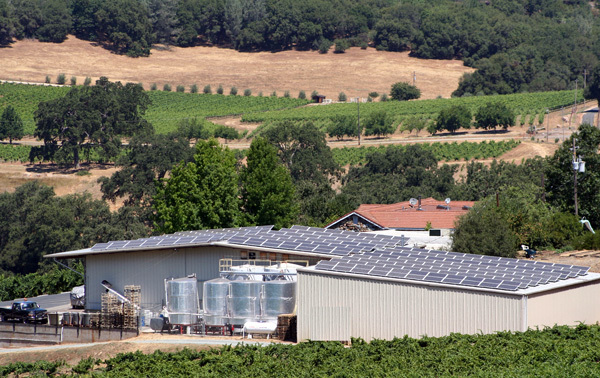 Today, we continue to use estate grown grapes from our sustainably-farmed vineyards. Turley Wine Cellars makes forty-seven wines from over fifty vineyards, the vast majority of which are single vineyard designate Zinfandels and Petite Syrahs. 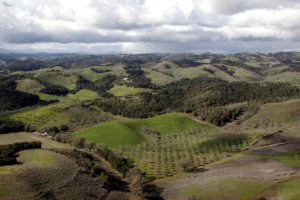 By focusing on old vine vineyards in particular, Turley aims to both create and preserve California’s unique winemaking culture. At Cooper Vineyards we believe that winemaking begins in the vineyard. Discover our rotating portfolio of 25 finely crafted wines, produced from our 18 estate grown varietals. We are dog friendly. Visit our tasting room among the vines. Gaze into the world of single varietal wines – small quantities of artfully crafted wines that span the tradition of Italian and Rhone varietals, desserts wines, heirloom varietals, and just a few special blends. We specialize in estate-bottled wines and proudly offer them to you. This family-owned ranch offers stunning vineyard views and award-winning wines, and a tasting room where gracious hospitality awaits you. At Villa Toscano, we proudly present the traditional head-pruned, dry-farmed Zinfandels alongside the newer, innovative Italian varietals for which the region is becoming so well-known.